When you arrive at Portland Park Shuttle ‘N Fly simply park in one of our conveniently located stalls. Our professional staff will pick you up at your car, help with your luggage, and take you directly to the terminal. Enjoy a stress free trip knowing your car is in a secure facility with around-the-clock staffing. It’s as simple as that! We are conveniently located just 3 miles from the airport, so we’ll get you parked, picked up and to your flight safely within 7-10 minutes. Once you are away you can rest easily knowing that your car is safe and secure. Our parking facilities are staffed 24 hours daily, with security fences and gates protecting your vehicle. 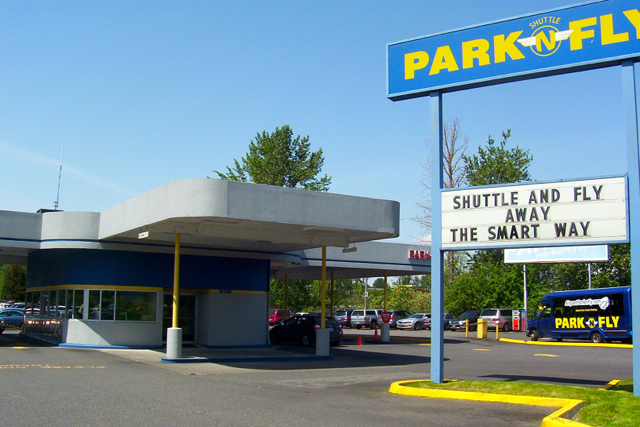 Reserving your parking spot at Portland International Airport is a breeze with Park Shuttle ‘N Fly’s online reservation system. Located within a few minutes from the airport, our 550+ car lot is the perfect place to leave your vehicle while you travel. Use your laptop, tablet, or computer to reserve your spot online and relax knowing your car will be safe while you enjoy your vacation. We believe in providing you with affordable airport parking that is dependable and easy. Our job is help you get where you need to go while keeping your car safe during your absence.